eStartup Thor Trucks will be profitable from the start of production next year because of environmental subsidies available for electric trucks, co-founder Giordano Sordoni said at the 2018 Los Angeles Auto Show. During a presentation at the Automobility LA Top 10 Startups competition on Tuesday, Sordoni said the Los Angeles company has “millions of dollars” in orders and expects to make money even without subsidies from the California Air Resources Board and other regulators in two years based on truck volume in the low thousands. Thor, which designs electric-powered battery systems and modular chassis for commercial vehicles, won the $15,000 competition over a location software startup and an autonomous mapping company. “They have customers in the pipeline, and there’s a lot of viability for the business,” said Tarek Elessawi, one of the competition judges and a senior associate at Plug and Play Ventures in Sunnyvale, Calif.
Thor recently started a new funding round and will soon be pitching Plug and Play, Sordoni told Trucks.com. Thor, which has doubled its employment to about 35 in the last year, signed an agreement in July with United Parcel Service to develop two Class 6 delivery vans for testing next year in Los Angeles. The program is on track, with UPS “very involved in giving feedback,” Sordoni said. He said road testing of the Thor ET-One heavy-duty electric tractor is continuing. 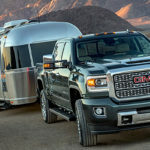 Thor has signed an agreement for contract manufacturing and will ship parts for assembly rather than build trucks itself. Sordoni declined to name the manufacturer. 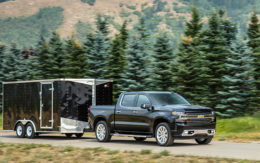 “We didn’t want to spin up our own multibillion-dollar manufacturing facility when there are plenty of original equipment and suppliers that are better established to assemble trucks than we are today,” Sordoni said. Neither Sordoni nor co-founder Dakota Semler are trained engineers. They decided to focus on certain parts of electric trucks rather than trying to do everything in-house. Thor recently signed a partnership to merge its battery technology with an electronic axle developed by Michigan-based AxleTech. Thor also buys electric motors. As a technology integrator, Thor has found new customers, such as a recent project making an electric powertrain for an industrial forklift company. Seventy percent of medium- and heavy-duty trucks travel less than 150 miles a day, Sordoni said. Package delivery services like FedEx and UPS cover about 60 miles a day. 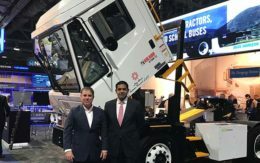 “It goes to show that even outside the glitzy supercars and heavy-duty trucks that get all the headlines, there are customers in each of these vocational segments that are excited about the potential of electric vehicles in their arena,” he said.